Aria LTE Jio Gateway is designed as a multi-functional gateway that implements calls between VoIP network and 2G/3G/4G network. Whether it’s a VoLTE or GSM it can dial inbound/outbound calls efficiently. It even gives you the freedom to choose between different modes of networks such as GSM. It integrates well with other applications, and thus allow sending SMS/USSD, bulk messages, push emails through open API. It’s software and hardware both are structured & designed well for higher level performance. 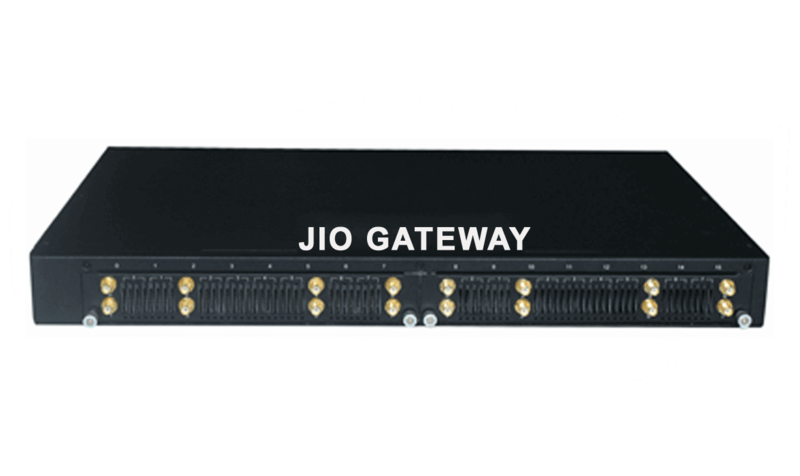 The Jio Gateway has been designed to provide low-cost IP telephony solutions to SMEs and enterprises with ease and flexible application. Aria Jio Volte Gateway promote scale by easing the calling process. It let you make Voice over LTEvideo calls by implementing LTE into your network. The vital side of this gateway is its being based on a single technology and not damaged by fragmentation or diversity. Aria Jio Gateway can work easily throughout a community of over 6 billion connections across any networks and devices. It surprisingly reduce complexity as a common implementationlet you deliver messages and media in the best way. It is designed to provide best quality experience to the customers. Although, lack of common deployments between networks can diminish the overall quality of the communication services. Aria Jio Volte Gateway enables interconnection and roaming which can be easily optimised in the all-IP world. The Aria Jio Gateway is designed to fit well in all type of industries for both massive and minimal operations. It comes in different configuration and thus performs well in small and as well as higher industries. Business: Small businesses and enterprises can install this gateway to have cheap cost IP calling facility. Call Centres: Regular call Centres and small calling divisions of SMEs can install this system to avail VoIP calling facility. Government Sector: Small govt. offices and rural offices can install this system to maintain internal and external communication system. Hospitals: it can be installed in Hospitals and nursing homes, clinics for flawless high frequency IP calling. Travel and tourism: travel industries such as travel agents, small OTAs can enjoy IP calling with this gateway at cheap rate.